Ain't Them Bodies Saints is what I imagine a Terrence Malick film with a fully fleshed out plot might look like. As a noted Malick hater, but also someone who can appreciate his obvious strengths, that qualifies as high praise. Saints is quite aptly described as a modern Western. 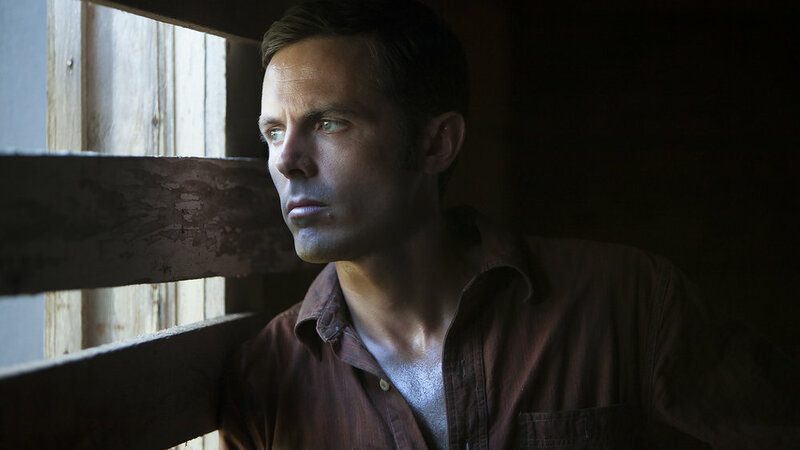 Were it not set in the more recent past, it would not be hard to imagine Clint Eastwood grunting and glaring his way through the role played by Casey Affleck, a thin cigar chomped between his snarling lips. Affleck plays Bob Muldoon, an imprisoned outlaw who breaks out of jail and sets out across Texas in hopes of being reunited with his lover Ruth -- played by Rooney Mara -- and the daughter he has never met. As a series of flashbacks reveal, Muldoon isn't simply a scoundrel with a romantic streak and Ruth isn't merely someone with a thing for bad boys. Muldoon and Ruth are quite literally partners in crime. So much is this the case that Muldoon is actually serving the time for Ruth's crime; it is she, not Muldoon, who, during the course of a shootout, gravely wounded a police officer -- Ben Foster's Patrick Wheeler. Though those flashbacks establish the connection between Ruth and Muldoon, and though there is an element of nobility to both Muldoon's acceptance of blame and his desire to be with his family, it's obvious almost right away that the dynamic between the pair will never quite be the same. Childcare has shifted -- dramatically -- Ruth's priorities, as one might expect. Muldoon's romantic platitudes in which he, Ruth and their daughter all end up living happily ever after are flattering in one sense, but almost obnoxious in another. They are disconnected from Ruth's reality to be sure, and that contrast only grows more stark as Foster's character (yes the one this pair shot) emerges as a romantic interest for Ruth. The spark between her and Foster's character is not iridescent as between her and Muldoon, but you get the sense that it has more staying power. Muldoon, of course, doesn't know any better about any of this because, well, how could he? So off across Texas he sets, a vague whiff of tragedy lingering over him as he eludes law enforcement and closes in on a reunion with Ruth. The reunion itself must be navigated delicately with the police keenly aware that he is likely to head straight for his family, a fact that dooms Muldoon almost by default. Swashbuckling romantic? Yes. Criminal mastermind? No. All the same, his caution affords you lots of time to dig into a hopeless love story, and to sweat -- it's a good sweat, too -- in the heat of a dingy Texas dive bar alongside him as he tries to figure out the best way back to Ruth and his daughter. It's an intoxicating experience made all the better by the sharp, sudden end just around the corner.